Exegesis may be defined as the critical analysis and interpretation of a holy book (or books). The word's Indo-European roots convey the sense of searching out, and the implication is that perhaps the actual meaning of a scripture is not what it first appears. The holy books of every major world religion have exegetical traditions, in some cases many centuries old. Can we as Thelemites benefit from their experience, or must we abandon their philosophical insights as tainted with the outlook of slavery? Perhaps it is possible to ignore the dogma and self justifications, yet still learn something from the recognitions of a deeper level of meaning in revelation. As Thelemites, we ought not hesitate if we can utilize to our advantage any of the methods that humanity has ever employed. In any case, it is inevitable that Thelemites will produce an exegetical literature based upon studies of the various Holy Books. Crowley himself set the example by commenting, sometimes exhaustively, on most of them. As this body of work continues to develop we may as well profit by an examination of some earlier exegetical philosophies; in that way we may avoid some of the obvious mistakes of our predecessors and sharpen the focus of our own concepts while avoiding the outworn hypocrisies of the past. I lay claim to be the sole authority competent to decide disputed points with regard to The Book of the Law, seeing that its Author, Aiwaz, is none other than mine own Holy Guardian Angel, to Whose Knowledge and Conversation I have attained, so that I have exclusive access to Him. I have duly referred every difficulty to Him directly, and received His answer; my award is therefore absolute without appeal. Now that Crowley is dead, however, he can no longer answer our questions directly. Inevitably, we must interpret the writings he has left behind, even when attempting to come to an understanding of issues which he himself explicitly addressed. When we are dealing with the questions which he never even tried to answer, we are even more dependent upon our own resources. There are no final interpretations. If one is unprepared to take the advice of III:16, “Deem not too eagerly to catch the promises; fear not to undergo the curses. Ye, even ye, know not this meaning all”, then one is probably not ready for the spiritual consequences of a personal relationship to The Book of the Law. Healthy personal relationships are based on acceptance of change within a framework of mutual support; when applied to The Book of the Law this usually means an ever evolving understanding, and – for most Thelemites – an ever expanding reverence. The novice student comes to the Law as a fool, understanding little and misunderstanding much, but “Let him come through the first ordeal, & it will be to him as silver. Through the second, gold. Through the third, stones of precious water. Through the fourth, ultimate sparks of the intimate fire.” (III:64-67). In this process we face no deadlier dogmas than those we call our own. It's a very short step from “finally knowing” what the Book means to telling everyone else what it means. Truly it would be better to tell everyone what it means when you still haven't the slightest insight as to what you're actually talking about! That way at least people can take it as a joke and laugh at you. There are no correct or incorrect interpretations. We can find clues to understanding The Book of the Law in the Prophet's writings, but the deadly hand of Orthodoxy must never be allowed to intrude upon any individual's understanding of the Book. In the hands of an extremist this moral principle becomes that demon called the Dogma of No Dogmas, which is actually among the most insidious of all possible dogmas; it can only be combated by the freedom of each person to accept and/or reject at any time any dogma which pleases them. We ought not to let dogma itself distract us from the real crime, which is the imposition of one person's dogma upon another. No person has a valid basis on which to decide that another's particular understandings of the Book of the Law are correct or incorrect, but if any understanding should lead its adherents to try to thwart my right to do my will then I, under the provisions of the Thelemic charter of rights, Liber OZ, have the right to kill them, even though I may choose to exercise it only in the most extreme of cases. We must not tolerate Orthodoxy, but we needn't for that reason excuse folly just because it wraps itself in Thelema. What happens to those fools who egregiously misunderstand The Book of the Law is described in II:27, “There is great danger in me; for who doth not understand these runes shall make a great miss. He shall fall down into the pit called Because, and there he shall perish with the dogs of Reason.” Nevertheless we must be careful to hold them responsible only for their actions, not for what we might consider their misinterpretations. There is a story in the Talmud about four great rabbis who entered paradise. One saw and died, the second saw and lost his reason, the third became an apostate and misled the youth. Only Rabbi Akiba entered in peace and came out in peace. In the hands of Moses de Leon, rabbi and revealer of the illuminating Zohar, this story is used as the basis for an understanding of holy writ. The Hebrew word for paradise (literally, garden or orchard) is pardes, spelt peh-resh-daleth-samekh. These four letters were employed by de Leon to represent four levels of meaning. Peh stands for peshat, the plain or literal meaning; this is the predominant – and often obsessive – attitude of those (like some fundamentalist Christians and Muslims) who insist that every word of their scripture is factually accurate. Resh begins the word remez, the hinted or allegorical meaning, though one of de Leon's anonymous heirs here substitutes reiyoth, insights; this is the predominant attitude of those (like some Unitarians and Reform Jews) who use their scripture as a repository of symbols for human psychological processes like guilt, self-sacrifice, and spiritual renewal. Daleth represents derasha, homiletic or legalistic interpretation: this is the predominant attitude of those (like some Orthodox Jews and Sunni Muslims) who see their scripture as a guide to wise and judicious decision-making, in both public and private life; an instructive mixture of history, legend, and parable, suitable for teaching long-term values and practical ethics to each new generation. Finally Samekh, the last letter of pardes, is the initial letter of the word sod, the secret or mystical meaning; this is the predominant attitude of those (like the mystics of every scriptural tradition) who value their scripture not because it is divinely inspired, but because it inspires them with the Divine. This system of four levels of meaning is a common method of interpreting the Torah, and is also conformable to the Qabalistic concept of the Four Worlds. But in that case how are we to attribute the correspondences of level of meaning to Qabalistic World? There is the story, told by the same anonymous heir of Rabbi Moses de Leon mentioned above, which connects the four levels of scriptural interpretation with the four rivers of Eden as well as with the four rabbis who entered paradise. De Leon's successor tells us that the first rabbi went into the river Pishon, which name is taken to mean “the mouth that learns exactly” and hence the literal level of meaning. The second rabbi went into the river Gihon, which is referred to allegory and symbolism. The third rabbi went into the river Hiddekel, from “sharp, deft,” which refers to the drawing of a moral lesson or legal precedent from scripture. The fourth rabbi went into the Euphrates, which name is connected to the innermost kernel; this rabbi, who achieved mystical understanding of the Torah, was the only one to enter and return without harm. This story then allows us to use the 777 correspondences between the Four Worlds and the four rivers, and thus attribute the Four Worlds to the four levels of meaning. Using this method, our Peh-Resh-Daleth-Samekh can be respectively identified with the Four Worlds: Atziluth, Briah, Yetzirah, and Assiah. What are some of the implications of this identification for Thelemitic exegesis? In the Tree of Life arrangement labeled 'The Constitution of Man' (reproduced in Regardie's edition of Magick Without Tears) both Atziluth (the archetypal World from which all the others emanate) and Briah (the creative World which interfaces between pure archetype and actual existence) are placed above the Abyss by Crowley; Yetzirah (the World of formation, peopled by the Angels and Divine Principles) he corresponds to the six central sephiroth which make up Ruach, and Assiah (the World of action, home for both matter and the Qlipoth) to the sephira Malkuth. If we substitute the four levels of interpretation for the Four Worlds in this arrangement we find that both the literal and the allegorical levels of meaning are above the Abyss. Does this mean that a literal understanding of scripture is possible only above the Abyss? I think yes: to comprehend the contradictions of a sepher ha-Torah (“book of the Law”) requires, as the Buddhist sutra says, reaching “the far side of the river;” in Thelemite terms, achieving passage across the Abyss. This may at first seem contrary to common sense, which tells us that a literal interpretation should correspond with the material plane while the esoteric meaning is inherently of the archetypal plane. But this sort of common sense is misleading when it comes to exegesis, just as it is in the cases of post-Copernican astronomy and post-Einsteinian physics. In remarkably many of the most important areas of human thought, we find that both strict logical analysis and sweet poetic imagination conspire to overthrow our everyday assumptions and the mundane conclusions we draw from them. There are rituals of the elements and feasts of the times. A feast for the first night of the Prophet and his Bride! A feast for the three days of the writing of the Book of the Law. A feast for Tahuti and the child of the Prophet – secret, O Prophet! A feast for the Supreme Ritual, and a feast for the Equinox of the Gods. A feast for fire and a feast for water; a feast for life and a greater feast for death! A feast every day in your hearts in the joy of my rapture! A feast every night unto Nu, and the pleasure of uttermost delight! Aye! feast! rejoice! there is no dread hereafter. There is the dissolution, and eternal ecstasy in the kisses of Nu. Now, the literal act of feasting according to this passage might perhaps in some way help to bring you to that quite mystical understanding of Aiwass' revelation which is proper to Assiah. But to miss the deeper meaning of these words and see instead a mere catalogue of holidays and an invitation to non-stop partying would be a terrible mistake; just as it is a mistake to think that a literal enaction of the Law is necessarily effective or even desirable on the physical plane. Overeating, even in the name of Thelema, can still cause indigestion. Ritually sacrificing a human child, no matter to what god, can still cause execution for murder. The seekers who live with any scripture in real peace, who survive their studies with their integrity and reason intact are those who are able to use primarily the most hidden scriptural meanings as a basis for actual behavior in Malkuth. Still, the mystic's apprehension of holy writ must also include moral and mental precepts, allegories which operate on imagination, and even, where called for, literal obedience (try this experiment: obtain a copy of the Book of the Law in an edition which includes “The Comment;” read this particular copy aloud in its entirety once, and then burn it up completely; how does it make you feel? foolish? frightened? fescennine? or free?). As might be expected when the understanding of revelation is susceptible to such subtle manipulation, a common feature of saints' lives throughout history has been the inexplicability of some of their actions. A number, of course, have lost their reason, but others may have had reasons aplenty. After all, if the words of scripture are only to be truly understood mystically in this World of action, then, on an archetypal level, those very same words must be literally true! We ought to avoid mixing up our understandings of the planes, but there are still, inevitably, natural interactions between the planes. In such cases you might say that the only proof is success, but then we must ask, whose success? For Ra Hoor Khuit, “There is success.” For us, well, we do the best we can, and – ultimately – are forced to let it go at that. Service to Ra Hoor Khuit is rather fully described in III:62, “To Me do ye reverence! to me come ye through tribulation of ordeal, which is bliss.” The founders and true practitioners of most religions, even the most unwarlike, have had to face battle and prove their bravery, albeit in a multitude of ways. The saint of meekness draws strength from the sufferings of Jesus; the saint of obedience finds inspiration in Allah's conquests as performed through Muhammed. The measure of these respective saints' success is in how well they emulate their exemplars. Should we not rightly expect much greater trials for those who would be the saints of freedom, when they seek to serve the Crowned & Conquering Child, All Victorious, “Supreme and terrible God, Who makest the gods and death to tremble before Thee”? And if the tribulation of their ordeal is truly bliss then He may indeed grant triumph to their wills, but only so long as there is no difference between their wills and His. Nothing succeeds like success; everything fails in each failure. What I have tried to show in this brief essay is the possible relevance for Thelemites of the concept of exegesis, and to detail a single example of Qabalist exegetical technique. I have tried to use this one technique as a tool for understanding The Book of the Law. Many other like tools exist; I hope that this one example inspires others (and myself once again) to pick them up and use them. b) investigations into the meanings of words and ideas expressed therein. While I won't comment on them here, some of it has stoked the “literalists'” ire. 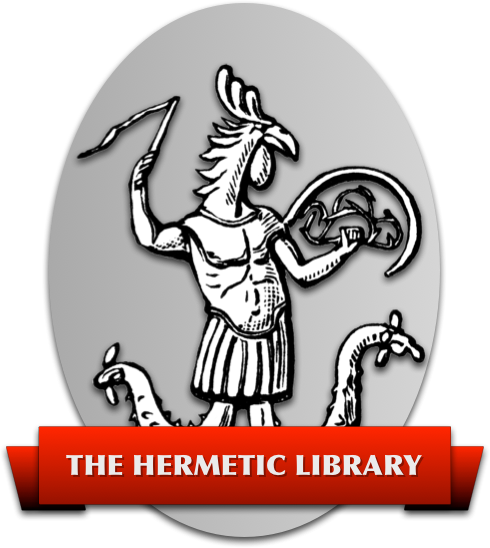 I hate to see the day when we find ourselves referring to some of these as Fundamentalist Thelemites… But really, it is crucial to strive for excellence in the area of Thelemic Scholarship, and always forge ahead, and be open to new insights that may actually lead somewhere useful to us all. If they are merely self-obsessive streams of nonsense, that is something else altogether. I've enough of that of my own consigned to the boxes in the shed. I too look at things from several levels of meaning. We can find magical techniques, mystical insight, philosophical interpretations, even political and historical interps. in these Holy Books. I don't think any of us will ever have the last word on it all! I applaud your brilliance. Once while fishin' in the Pishon, I has a flash- forward deep into our Aeon. What we cannot fathom NOW, is that a thousand years hence,all things written in the Book of the Law will come to pass in the Literal sense of the word. When the Xians finally decide to rid the world of Thelema by physical force around the time of the actual Procession of the Equinox into Aquarius things will get real ugly. The canabalism is distasteful to us NOW, but remeber the fierce spirituality of the Aztec Warrior-Priests,who feasted on the hearts of their enemies less than 500 years ago. Things change! I dont recommend practicing this NOW, but offer this interpretation as a rational way to interpret our Law literally and remind everyone our Aeon is yet young. I have to say starting out that I am generally in favor of the spirit of “The Comment,” although it seems most of my friends disagree. There's a line in “The Rite of Mercury,” something to the effect of, “Alas, brother! Is the speech greater than the silence?” I am attracted to “The Comment” on an aesthetic level, as speech seems to me to be easy, in a certain way, and silence seems to me to be powerful – and too seldom explored. Of course, I have to open my trap in order to point this out! In any case, it is inevitable that Thelemites will produce an exegetical literature based upon studies of the various Holy Books. Crowley himself set the example by commenting, sometimes exhaustively, on most of them. If we attempt to stop the commentary with Crowley, exegesis is not entirely inevitable. In the case of The Book of the Law, I think that Crowley would have done well to have stopped before he began. The Law is for All, in whatever edition, for example, I find to be just about the least appealing of his works. I think he saw most clearly what was required in “The Comment,” but couldn't sustain that level of insight throughout his life. Like any holy book, this Class A comment is open to interpretation, but the paradox in this case is that the subject of this holy book is in fact the interpretation of a holy book. Add to that the ambiguities of the text: is it joking or serious? or both in parts? Where is the paradox here? And if it is serious, it isn't ambiguous, even if it is also joking. Only if it is joking without being serious does it introduce ambiguity, and I don't see how the text suggests that – unless ambiguity is what you want. In the excerpt that you quote from “Genesis Libri AL,” we see Crowley again not at his best. “The Comment” is a way to get around the ego, including Crowley's, not a way to enthrone Crowley's ego above everyone else's for the rest of the Aeon. I can agree with your “two fundamentals,” as derivatives of “The Comment,” but you go on to say, “however, it is not therefore necessary that it be entirely private.” True, if we use your two fundamentals as our starting place rather than “The Comment” as a whole. But if we do use the whole Comment (and keep our exegesis private), your two fundamentals are fulfilled without needing to use Liber AL to shore up a particular position. If we do need to fix a position, surely we can find other tools for this than Liber AL? Ultimately, there is nothing in Mordecai's position here that can be completely refuted. It just concerns me that the easy response to this is, “Oh what a relief! I want to talk about everything, and now I am finally rid of that dreadful restriction against talking about The Book of the Law!” I only want to point out that one could take an alternative response to “The Comment,” namely, that it is meaningful, and that there are advantages in attempting to respect it. > I have to say starting out that I am generally in favor of the spirit of “The Comment,” although it seems most of my friends disagree. > I am attracted to “The Comment” on an aesthetic level, as speech seems to me to be easy, in a certain way, and silence seems to me to be powerful – and too seldom explored. Of course, I have to open my trap in order to point this out! > If we attempt to stop the commentary with Crowley, exegesis is not entirely inevitable. In the case of The Book of the Law, I think that Crowley would have done well to have stopped before he began. The Law is for All, in whatever edition, for example, I find to be just about the least appealing of his works. I think he saw most clearly what was required in “The Comment,” but couldn't sustain that level of insight throughout his life. > In the excerpt that you quote from “Genesis Libri AL,” we see Crowley again not at his best. “The Comment” is a way to get around the ego, including Crowley's, not a way to enthrone Crowley's ego above everyone else's for the rest of the Aeon. > Ultimately, there is nothing in Mordecai's position here that can be completely refuted. It just concerns me that the easy response to this is, “Oh what a relief! I want to talk about everything, and now I am finally rid of that dreadful restriction against talking about The Book of the Law!” I only want to point out that one could take an alternative response to “The Comment,” namely, that it is meaningful, and that there are advantages in attempting to respect it. Thanks for this depth analysis on the question of the creation of Thelemic theology. I think the points you have touched upon are vital. Thelema lends itself to a very rich theological tradition. At the same time, Thelema maintains uniqueness among other spiritual systems by its emphasis upon avoiding theological dogmatism and absolutism. Just one minor point: the word “exegesis” is actually Greek in origin. It means simply “to read out of” as opposed to “eisegesis,” its opposite, which means “to read into”. In classical (i.e., non-Qabalistic) theology, to “do exegesis” is to examine a text in its appropriate contexts: literary, historical, cultural, personal (i.e., via the 'messenger' thereof), etc. and to derive its meaning from critical examination of all these aspects. Eisegesis is to read one's own personal meaning into the text instead. In a flexible, gnosis-friendly theology, both are appropriate in their appropriate place, though exegesis approaches objectivity more readily and thus eisegetical associations should be confirmed thereby rather than vice versa. Finally we should always remember that theology is but the dry bones of a former conversation with the Divine – usually somebody else's conversation – and is only useful insofar as it aids us upon our journey to discovering and creating our own dialogue with the Divine. Theology must never become a substitute for genuine Gnosis, but employed wisely, may serve as a barometric reading upon Gnosis, and a communicable conveyance of its distillations.